Innovation: Is It Welcome in Your Organization? We’ve all heard of the need for continuous improvement in processes and operations, but is that enough in today’s fast-changing materials handling industry? A recent article in Material Handling 24/7 addresses that question in its discussion of the importance of accelerating innovation: specifically, that it’s not enough to implement what it calls “linear innovation,” meaning that you innovate enough to maintain the status quo, but not enough to advance in any significant way. Basically, this amounts to running to stand still. When it comes to innovating in the materials handling industry, slow and steady does not win the race. Instead, what’s necessary is “exponential innovation,” or increasing the speed and expanding the application of technological innovations, so that innovations are executed in ways that become transformative, not just incremental. Sometimes exponential innovation can even generate solutions that are ahead of the current market’s demands. In a nutshell, while linear innovations are transactional and operations-focused, exponential innovation is broader and more expansive. Rather than tackling a single problem, exponential innovating builds upon insightful “what-if” thinking, envisioning alternate scenarios, generating hard business intelligence, and supporting strategic decision-making. How do you bridge the chasm between linear and exponential? For starters, the evolution to exponential innovation requires an actual market issue that needs to be addressed; a team of competent, engaged people tasked with addressing the need; and the resources to explore truly game-changing innovations with the potential to scale into enterprise-wide solutions. Considering that technologies such as robotics, sensors, mobility, AI, VR, IoT, Big Data, Cloud-based computing and more already exist and are increasingly accessible and adaptable, why are innovative solutions so seldom identified and integrated in ways that create exponential, scalable, next-generation change? That means exponential innovation has to come from the top down – an organizational willingness to envision, embrace and nurture change, including providing ample time and resources for exploration. If you settle for innovating incrementally, that’s all you’ll get. Innovation thrives only where it is welcomed. How receptive is your organization to exponential innovation? UNEX SpeedCell is one innovation for warehouse storage that helps order pickers pick more product more safely in less space, with the added benefit of fewer touches and greater accuracy. 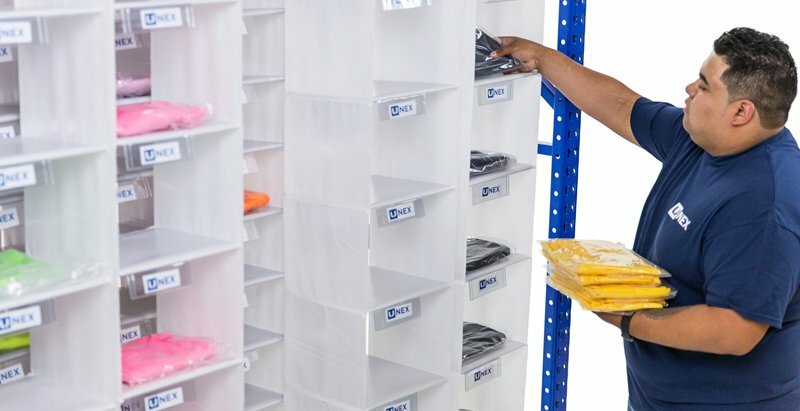 UNEX SpeedCell consolidates storage capacity and dramatically increases pick facings, resulting in greater SKU density, requiring less travel and search time for your order pickers. Contact your UNEX Pickologists today to see how SpeedCell can help you accelerate innovation.